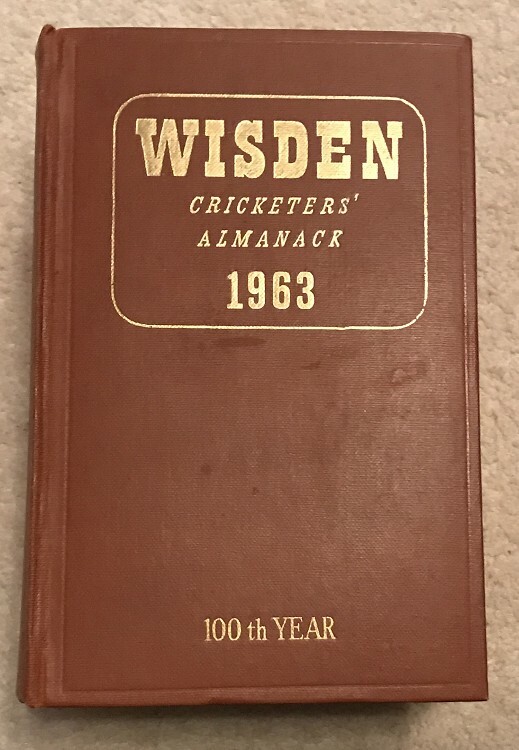 This lot is an 1963 Original Hardback Wisden, this Wisden is in very good condition, the boards have a few light marks but it has very nice gilt, solid spine with bright gilt,very clean inside with very good hinges, no spine bobbling or lines to the spine cloth, a top 1963. 1st run of the 3. Please see the large pictures. More Photos on request.